Two examples of engagement of the target group using photography. 1. Vice asked refugees living in a refugee center in Berlin to document their lives during one week using disposable photo cameras. It resulted in a surprising, unconventional photo series, posted on Vice’s website (text in Dutch). 2. Photojournalist Kadir van Lohuizen handed out 10 compact photo cameras to underage young people in Nairobi’s Kamiti prison, allegedly the biggest prison in Africa. After a training by Kadir they started capturing moments in their lives behind bars. 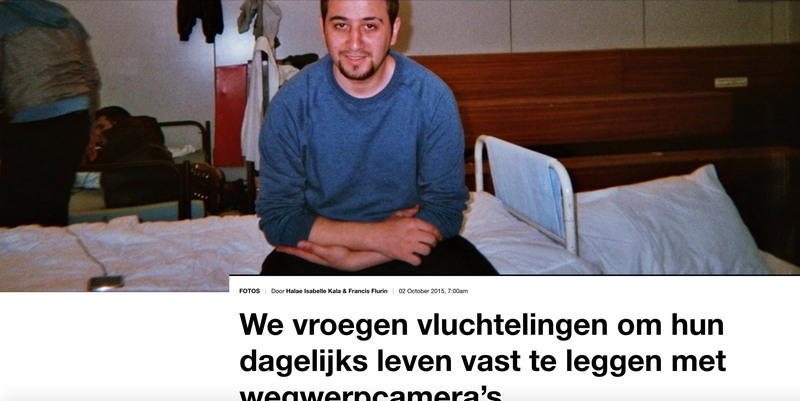 By doing this, the prisoners and the photojournalist collaborate on the photo project called ‘Young in prison’ (article in Dutch, published in Dutch magazine ‘Vrij Nederland’).